Believe it or not, simple words can truly affect a nursing patient’s experience in the hospital. You may have the best of intentions, but certain topics or comments can negatively affect a patient’s sense of confidentiality, personal beliefs, and emotions. Inevitably in your career, you may come across co-workers with different opinions than your own. These differences can and should be used to complement each other and strengthen a team. Unfortunately, though, they can also escalate making a stressful work environment. 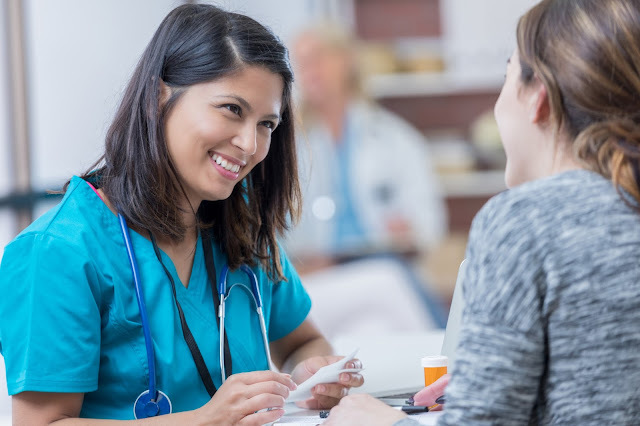 In your frustration, it’s easy to let a negative comment slip a about another registered nurse in front of a patient, causing them to lose confidence or feel suspicious of any future caregiver. When a person feels ill they naturally feel vulnerable to the nurses who care for them. If you truly feel something was done incorrectly that could have endangered the patient or negatively affected their experience, make it known to that caregiver outside of the patient’s presence. You can also discuss the issue with your nurse manager. Hopefully, you will have a great relationship with many of your fellow nurses because you will be spending a lot of time with them. You’ll naturally want to discuss personal issues such as relationships in your life, how the local sports team did last weekend, or your evening plans. Just remember, there’s a time and place for everything. When interacting with a patient, they should be your only focus. While in a patient’s room, whether it’s performing a procedure or even just helping to dress or turn a patient, it can be easy for nurses to start discussing these topics over the patient’s head. This may cause the patient to feel as if their needs aren’t being met. It’s best to catch up with coworkers outside of the patient’s room, during lunch, or before or after your shift. As a nursing patient’s caregiver you have a position of power. Imagine being in a hospital, in a hospital gown, dependent on one person for all personal care, medications, and communication with the medical staff. I’ve been in situations where patients have expressed to me that their bedside nurse or caregiver expressed their own opinions on healthcare choices or expressed religious or political beliefs that made them uncomfortable. Part of nursing is caring for the patient as a whole that includes honoring their own traditions as well as empowering them to make informed decisions about their healthcare by providing objective information. Your role as a registered nurse is to simply be the messenger and help translate medical terminology for the patient. That translation should remain objective. As a registered nurse, you will often feel like you are being pulled in ten different directions. If you work as a bedside nurse, you may have up to five patients or more, depending on the specialty and acuity of the clients. It can be a challenge to meet all the needs of just one patient, let alone all of them. When a patient is in pain or scared or just needs help getting to the bathroom, they are not thinking about the four other clients you have to manage. It is NOT OK to tell a patient, “I’m too busy right now, you will just have to wait.” You have resources—use them. Ask a coworker who may not be as busy to help. Ask one of the nursing techs to assist you. Your words carry a lot of weight for your patients. 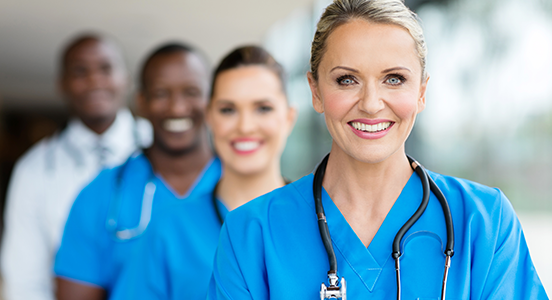 You have an important duty as a registered nurse to honor each patient’s autonomy by respecting their beliefs and creating a healing environment for their care.